A cryptocurrency wallet is a piece of software or hardware that stores your digital currency. Depending on the type of wallet you have, storage is done online or offline. The value of Bitcoin has skyrocketed in the last year, and it is more important than ever to learn how to store your cryptocurrency safely. In order to buy, sell, or otherwise transact with Bitcoin, you must have a wallet. Choosing the right wallet is an important process that should require some amount of research. Each Bitcoin user is going to have a specific set of needs that are better filled by different services. Therefore, the wallets listed here are in no particular order; one may be better in terms of security, while another may be better in terms of ease-of-use. We’ve selected a variety of desktop wallets, mobile wallets, and online (browser) wallets that are backed up by excellent software. “Acknowledged to be the best, not the fanciest.” Mycelium is a mobile-only wallet that offers a high level of security to its users. Keep an eye on this one–the website’s tagline is “Expect a Massive Upgrade”. 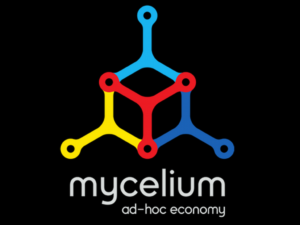 Mycelium is in the process of developing an array of amazing tools. For now, this wallet is a fantastically secure option that will only improve with time. Mycelium is one of the best hot wallets out there in terms of security, and it even has options for cold-storage backup. Mycelium is also one of the better mobile wallets in terms of anonymity. Mycelium allows users to have “watch-only” accounts, which allows users to view their Bitcoin balances without actually logging into their accounts. Mycelium is a Hierarchical Deterministic wallet, which means that can funds can be restored from old backups. Mycelium utilizes Private Key Deletion, which means that private keys are deleted when they are not needed, and regenerated when they are needed. Thus, the private keys are stored with a third-party, but they are very easily accessible. Mycelium is compatible with offline hardware wallets, and utilizes a Bit ID protocol for logins, which is more secure than the traditional username/password login. It seems that Mycelium may be a bit tricky for beginners, but it is constantly being upgraded and is very highly-rated on Google Play. Mycelium is one of the forces leading the charge in integrating cryptocurrency as an everyday currency, so its user interface is becoming more accessible with each upgrade. Mycelium also has a lot of great tools in the works–soon, users will be able to hold fiat in Mycelium, own and use Mycelium debit cards, and handle bills and invoices through Mycelium, among other things. Exciting stuff. Users can buy and sell Bitcoin from inside Mycelium. Compatible with Trezor and Ledger. Integration with Cashila, Glidera, and Coinapult. Local trader marketplace, similar to LocalBitcoins.com. Buyers and sellers have public reputation ratings. Compatible with iOS, but originally designed for Android. Not the easiest wallet to use for beginners. There is a bit of a learning curve. LocalBitcoins is an exchange service that allows users to post advertisements in which users buy and sell Bitcoins directly to and from one another over the internet via Bank Transfer, and even in person. The benefits of this include lower fees and possibly faster transactions. LocalBitcoins.com prioritizes decentralization, and there is no corporate overhead. Therefore, fees for using the service are extremely low. LocalBitcoins is an online exchange that users can store Bitcoin in, but the website recommends that Bitcoins be transferred to a more secure location for long-term storage. LocalBitcoins uses 2-factor authentication via paper codes or mobile app. Additionally, it uses LoginGuard, which keeps track of the IP addresses that are used to sign in to your account, and reports unusual ones. Each user has a public profile. Public profiles contain a reputation score, so you are informed about how trustworthy the other party is. Bitcoins can be stored on LocalBitcoins, but being an online wallet, they recommend that long-term storage of Bitcoin be done on a more secure platform. LocalBitcoins is technically easy to use, but new users may want to gain some experience with traditional Bitcoin exchanges and the Bitcoin community in general before using LocalBitcoins. This is a very inexpensive exchange. Buying, selling, and registering Bitcoin on LocalBitcoins is free. Transactions between the Bitcoin wallets of LocalBitcoins users are also free. Users who post an advertisement to buy or sell Bitcoins are charged a 1% fee for every completed transaction. Offers an affiliate program that provides rewards to users who direct newcomers to LocalBitcoins. Supports currencies from tons of different countries, and is constantly expanding. Great customer support available via Facebook, Twitter, and Google Plus. 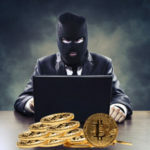 Although there are quite a lot of safeguards against fraud on LocalBitcoins, there is always a chance that it could happen. That being said, they do offer better-than-average user support. However, at the end of the day, you are responsible for what happens to your Bitcoins. Wirex is a great option for users who prioritize anonymity and ease-of-use. 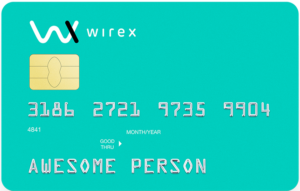 The application itself has a reputation for being secure and easy to use, and Wirex’s most attractive feature may be that it offers a debit card that can be used in over 130 different countries. Users who hold accounts worth less than $2500 are not required to verify their identities. Wirex is the only BTC service that offers 24/7 customer support. Wirex uses multisig protection and two-step authentication. Wirex has a reputation of being easy for beginners without compromising security or anonymity. Offers Bitcoin debit cards that are accepted worldwide. Switching between BTC, USD, EUR, and GBP can be done with just a click, and it can be used to pay for things as well as withdraw from regular ATMs. Extremely anonymous. No documents are required for registration as long as your account contains less than $2500. Nameless cards are available. Setup only takes a few minutes from download to trading. You can send or receive money from more than 130 different countries. The only BTC service with 24/7 support. Fees for a plastic debit card ($17) and virtual card ($3). Users must verify their identity to store more than $2500 on Wirex. That being said, other platforms require identity verification far below that amount. Exodus is a wallet that is capable of holding multiple kinds of cryptocurrency. As these words are being written, it is compatible with Aragon, Augur, Bitcoin, Decred, Dash, EOS, Ethereum, Golem, and Litecoin. On their website, Exodus writes that it was “designed for people who have never used an exchange”. Using online exchanges, like Poloniex or Blockchain.info, can be a particularly confusing process for new users. Therefore, Exodus is an excellent option for crypto-newbies who would like to diversify their portfolios. Exodus utilizes local encryption for private keys. That means that your data is stored on your computer, and is not shared with a server. This has the added benefit of making your data less vulnerable to interception. There is an extremely simple step-by-step wizard that will walk users through the process of backing up their wallet (recommended). If your computer is destroyed, wallets are recoverable through a password or mnemonic device. Exodus will email you a backup link to install your wallet on another device. Exodus is a Hierarchical Deterministic wallet (funds can be restored from old backups). Exodus does not require any identity verification to use, and is therefore a great option for users who are seeking anonymity. Exodus was developed with ease-of-use as a very high priority, and is a fantastic option for people who are new to cryptocurrency and more seasoned individuals alike. Gorgeous interface with live chart updates. You can view your portfolio’s progress in real-time with a beautiful and easy-to-understand visual representation of all of your assets. Exodus gives users the option to personalize the color scheme of their interfaces. Litewallet that does not take up very much space or energy on your computer. You do not need to download any complete blockchains to use Exodus. You cannot buy coins with fiat in Exodus, so you will need to utilize another service to buy Bitcoin and transfer it into Exodus. Once it is there, trading coins on its built-in exchange is extremely easy. Xapo claims to be the “the world’s most secure Bitcoin wallet”. Indeed, Xapo has a reputation for being one of the most secure wallets available. Like something out of a James Bond movie, Xapo’s servers are located “behind reinforced concrete walls, a steel blast door and radio wave-blocking Faraday cage within the Alps.” Xapo has attracted the attention of many major investors, including Benchmark, Greylock Partners, Index Ventures, Fortress Investment Group, Ribbit Capital, and Emergence Capital Partners. The wallet offers a reloadable debit card that is great for easy access to funds, but long-term storage is always better done offline. We recommend that you don’t put more money in Xapo than you need to spend at any given moment for this reason. Xapo utilizes a combination of cold storage and multi-signature technology. Xapo’s servers are located in a heavily-reinforced vault in the alps. The fact that Xapo exists as an online wallet guarantees a certain level of quick and easy access to both the wallet and transacting from the wallet. Xapo offers a reloadable debit card that is compatible with most ATMs and Point of Sale systems. You don’t have to convert your Bitcoin into fiat in order to spend it with the card. Xapo is not open source. Some users have reported that customer service is unresponsive to complaints and problems. Users do not have access to their Bitcoins’ private keys. Electrum is one of the older and more well-established Bitcoin wallets, and has an excellent reputation for flexibility and security. This is a wallet that has stayed very close to the original Bitcoin ethic; it is decentralized, and no one is really making money off of it. Therefore, the cost of operating the wallet is low. Electrum utilizes local encryption, which means that your private keys do not leave your computer. You also have the option of exporting your keys to other clients (your Bitcoins are not stuck in Electrum). Its servers are decentralized, so your wallet will never be “down”. Electrum gives users the options of storing private keys offline and operating a watch-only wallet. A “lost” wallet (if something happens to your computer) can be recovered with a secret phrase. Electrum was developed with multi-signature technology, so multiple parties can have access to the same wallet. All the transactions made in your Electrum wallet are verified using Simplified Payment Verification (SPV). Electrum has an incredibly simple download and setup process, and is very easy to use. However, as one of the older wallets available, it is not necessarily intuitive to use, though it is very functional. There isn’t anything in the way of tutorials include in the wallet itself, but there are plenty of resources online to help you get yourself oriented in Electrum. Supports third-party plugins, such as hardware wallets. Litewallet that does not require you to download the blockchain. There’s a bit of a learning curve when it comes to operating the Electrum wallet. BitGo is an extremely secure wallet that uses innovative multi-signature technology. It offers special features that make it a great choice for financial institutions and corporations. It has been called a commercial-level tool that is available for the individual. Really, this wallet is an excellent choice for just about anyone. BitGo offers multi-signature technology that allows multiple parties to access the same wallet. The wallet is Hierarchical Deterministic, and a PDF backup is created as soon as your account is created. Login requires two-factor authentication. Private keys are stored locally and with a trusted server. Each wallet is required to have an encrypted password. BitGo is one of those rare wallets that does an excellent job of providing top-level security that is accessible through a user-friendly platform. Offers BitGo Enterprise, which is an excellent multi-signature tool for financial institutions and corporations to manage their Bitcoin. Secure multi-party transactions can be verified on BitGo. Access to several Bitcoin exchanges through the wallet. BitGo is not open source. It is not very anonymous. Armory is a very secure desktop wallet that was built for more technically-advanced members of the Bitcoin community. It can be used to create applications (ie. for crowdfunding), and may be a good option for users who want to understand more about blockchain technology. Armory utilizes cold-storage and multi-signature support. Each user is given a one-time, permanent paper backup. Here’s how it works: Armory stores private keys in an offline computer. Therefore, the keys could only be compromised by someone who had access to the offline computer. Even then, Armory boasts that if someone stole the offline computer, it would take “centuries” for them to get through its advanced encryption. When users need access to their private keys, an application logs onto the offline computer and collects the keys to temporarily broadcast to the user. Users have the option of using a watch-only wallet, so they can keep an eye on their Bitcoin balance without compromising security. Signing in to the offline computer and initiating a transaction takes less than a minute, according to Armory’s website. As it was built “with developers in mind”, Armory may be difficult to use for some beginners. That being said, video tutorials are available on Armory’s website. The wallet also has settings for users of different skill levels: “Standard”, “Advanced”, and “Developer”. Offers consultation services for users who hold large Bitcoin balances. Video tutorials available for new users. Armory is open-source and extensible and was built with developers in mind. It can be used for building crowdfunding and exchange applications, among other things. Offline version doesn’t use very much space or energy on your computer. The online version takes up a lot of space and uses a lot of energy on your computer. Bitcoin Core is a desktop wallet where private keys are generated and held locally, and no third-party has access to them. Bitcoin Core is open source and is the most actively peer-reviewed wallet. Since this is a wallet that requires you to become a node, it might not be a great option for new Bitcoin users. That being said, if you are a newer user with curiosity about blockchain technology and want to learn more, Bitcoin core may be a great option for you. However, the average user who is just looking for a quick and easy way to store and transact with Bitcoins would be better-suited with another option. You must download the entire blockchain and make your computer into a node (which is a drawback for some), but becoming a node allows you to independently verify transactions on the network. You must download the entire blockchain and become in order to use the wallet, which takes up quite a bit of energy and over 130GB of space on your computer. This also makes the initial sync quite slow. However, being a node also grants you the ability to independently verify transactions. Copay is a neat, clean, easy-to-use wallet created by Bitpay, one of the larger Bitcoin payment service providers. With online, desktop, and mobile interfaces, it is extremely versatile and easily accessible. It is compatible with Glidera and Coinbase, and you can use those services within the app to buy and sell Bitcoin. Copay is a hierarchical deterministic wallet (funds can be restored from old backups). It also uses a multi-signature login, and both the app and the server are open source. Copay supports the full Bitcoin Payment Protocol, which means that coins sent to other merchants who support the BPP are verified to go to the right place. Copay is extremely user-friendly and is designed to make Bitcoin transactions quick and easy from any device. The Copay wallet is capable of supporting multiple users, which is great for companies that want to use Bitcoin as a way to pay for things or store money. Multiple wallets can be held in one app. Compatible with iOS, Mac OS X, Windows Phone, Google Play, Windows, and Linux. Identity verification is required, so anonymity is not as advanced as it is in many other options.